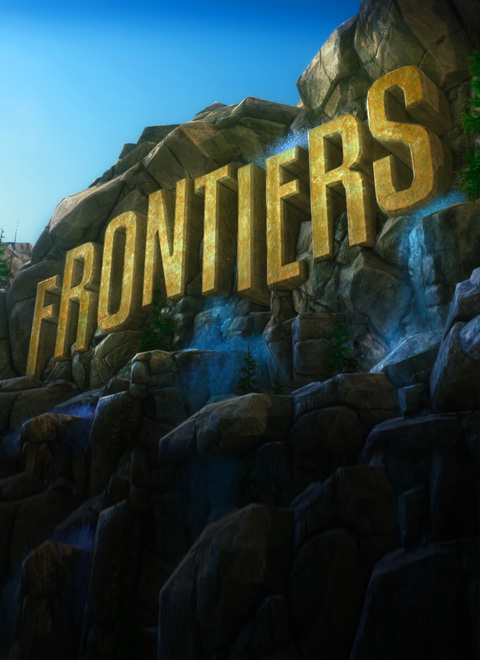 FRONTIERS blends the feel of first-person RPG classics like Daggerfall with the relaxing tempo & simplicity of a point-and-click adventure. Discover ancient mysteries, live off the land and fight deadly creatures, all in a beautiful open world. Four player co-op multiplayer - explore with your friends! Psst. Don't tell anyone I showed you this, but for the cool peeps on IndieDB only, here is the promised sneak peek at our official trailer. Apart from the explanatory text, there is nothing in this video that didn't come straight from the game. Visuals, sounds, voices, the lot. No pre-rendered stuff, either! That's not how we roll. Steam store page to follow soon for more info. Be sure to Watch us to stay up-to-date on what's coming, and when. PS. I've been asked this question a few times now: No, we're not doing a Greenlight campaign. We're cleared to release straight to Steam when all is ready and the stars are right. Because our game is amazing, that's why. Video update coming soon, with gameplay footage and all sorts. AAD Productions's second game is in full swing and mere weeks away from release. One Year Anniversary - New Gameplay Videos! One year since the Kickstarter! Here are three new gameplay videos to celebrate, plus an update on development in general. FRONTIERS is now a co-op game! You read that right - we passed the co-op stretch goal a few days ago - now you'll be able to explore and survive with up to 4 friends. Very exciting! Since this game isn't rated what ESRB rating would this probably get? It's not very violent, I'd give it a 'T' for the combat but that's probably overkill. The game looks really cool! What age rating would you give it, just out of curiosity. What is the approximate size of the world? Is it comparable to Morrowind or Oblivion?